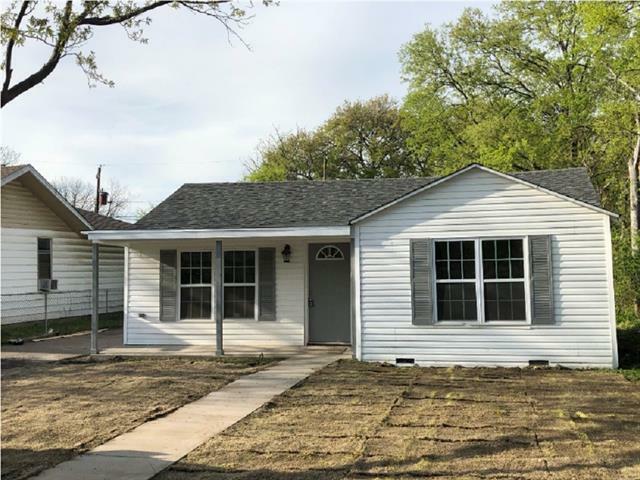 All White Settlement homes currently listed for sale in White Settlement as of 04/24/2019 are shown below. You can change the search criteria at any time by pressing the 'Change Search' button below. If you have any questions or you would like more information about any White Settlement homes for sale or other White Settlement real estate, please contact us and one of our knowledgeable White Settlement REALTORS® would be pleased to assist you. "Special financing: Zero closing and-or down payment loan programs available through builder's lender for those who qualify! Beautiful new home will be completed on February 1, 2019. Lots of details from 10' ceilings, covered porches and patios, window detail and huge kitchen with island! Lots of natural light and open plan. 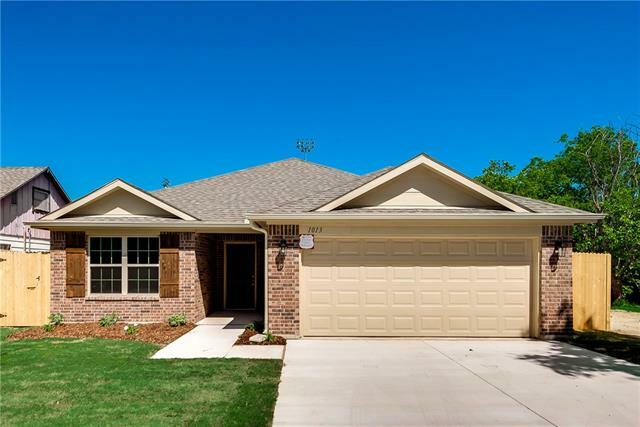 Gorgeous, wood-look tile floors through the family room, kitchen, breakfast nook & hallways." "BEAUTIFUL NEW CONSTRUCTION!!! GREAT LOCATION. This custom home was built by a private builder. The house has 4 bedrooms and 2 full baths. Features include: Tall ceilings, scrapped hardwood flooring, tile in bathrooms, and carpet in the bedrooms. Custom made and stained cabinets that complement perfectly with granite countertops and backsplash. Bathroom with granite counter tops in both. Beautiful doors and window casing. 8 security cameras to be installed. 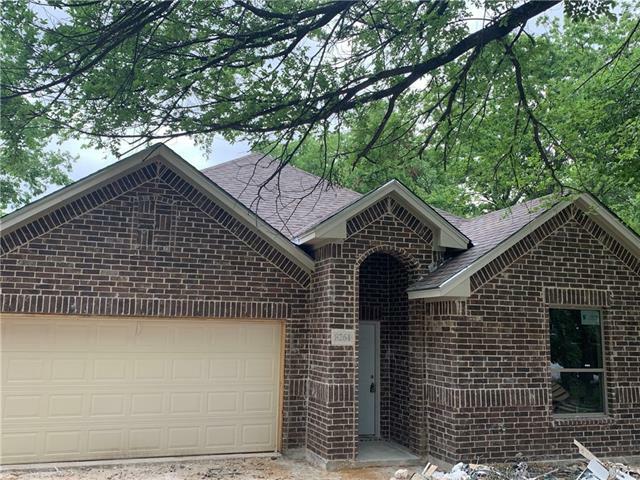 30 plus 12 ft cement and steal piers we"
"This beautiful new construction home has all the upgrades you can ask for. Granite throughout the kitchen and all bathrooms. Over sized mirrors, upgraded tile on the floors and all showers and bathtubs. High end glass shower door in master suite. custom glass nooks in showers. Private entrance to the master suite to the backyard. large spacious kitchen and laundry room. upgraded custom cabinets with hardware. 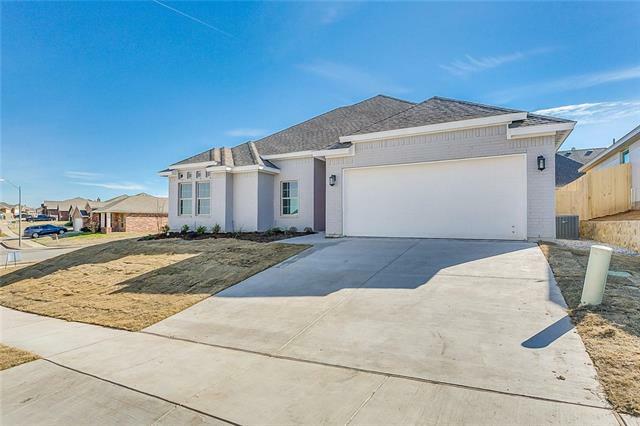 2 car garage to protect your cards from Texas hale storms during this next spring"
"The Belton is a single-story home offering 3 bedrooms, 2 bathrooms and 2 car garage! This plan features a private master bedroom with a super shower and large walk-in closet! Create lasting memories in your living room - perfect for game nights, movie nights, and entertaining Your new kitchen opens directly to the living room so you can prepare meals while catching up on the family's day"
"Introducing the Pecos B plan! 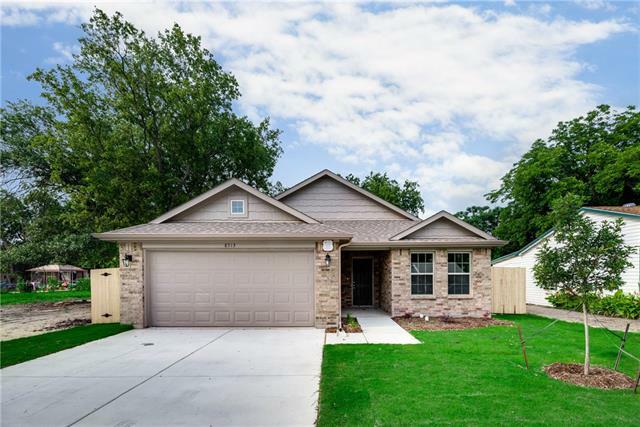 This roomy single story plan features 4 bedrooms, 2 bathrooms. The island kitchen and breakfast nook are open to a large family room. The master suite is complete with a private bathroom with a huge walk in closet." "Beautifully maintained traditional one owner home with original working water well for irrigation. City Water and Sewer for household. Kitchen and dining room flow openly to the large living room with a wood burning fireplace. 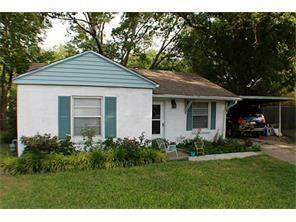 Carpet and tile are found though out this great family three bedroom two bath home. Ample storage options including built in book cases and a neutral palette to match all decor. Covered front and back patios with recently stained concrete are sure to be enjoyed. 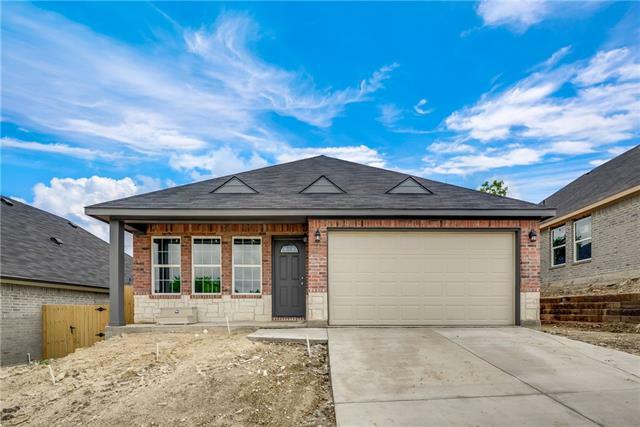 A unique a"
"New Construction with $4000 towards CLOSING COST !!!.. It will offer 3beds, 2baths, 2car garage. This is an open concept with a large living area connected to the kitchen with a large island to hold up to three sitting spaces. It will Be all brick and will have new energy efficient appliances. Carpet on rooms, Ceramic title on baths, kitchen and laundry room. Laminate flooring on living and dining." 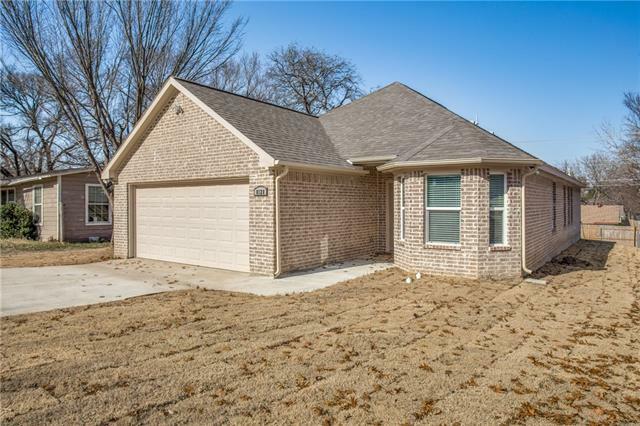 "Really nice one story four bedroom 2 bath home for sale in a great subdivision conveniently located to 820 and I30 and very close to Lockheed Martin and shopping. White Settlement ISD school district which has a four and a half star rating out of five with the State of Texas. Home features a great kitchen with open concept into the living room with a fireplace that has never been used. Office or fourth bedroom has glass french doors. Nice laminate wood floors. Big master bath with a walk in clos"
"OPEN HOUSE this Sunday April 14th from 1-4pm. 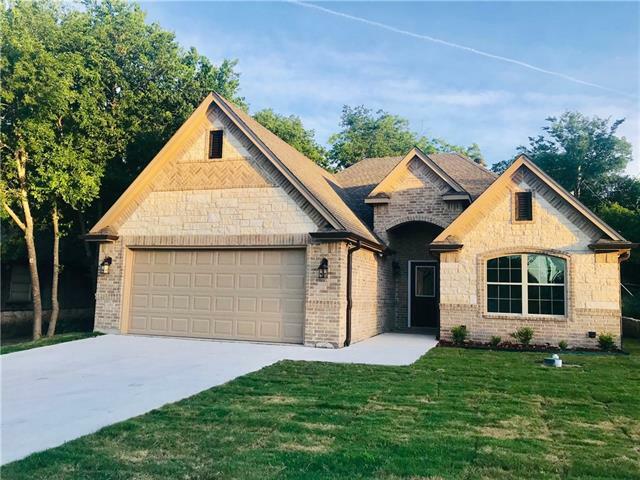 Brand new construction, granite in kitchen and both bathrooms. Open concept and plenty of natural light streams in through the energy efficient windows. Kitchen has shaker wood cabinets and mosaic tile backsplash. Easy maintenance flooring throughout the house. Front and side yards have new sod. This home offers a spacious wood deck to enjoy Mother nature right from your own backyard! The deck creates an inviting outdoor space for your family and fri"
"This BEAUTIFUL new build will be perfect for the first time home owner or the empty nester's looking to downsize. You will instantly fall in love with this open floor plan. Wood like ceramic tile throughout the house and carpet in the bedrooms. The Kitchen has beautiful grey shaker cabinets, beautiful tile backsplash and stainless steel appliances. The beautiful finishing touches this custom home offers is what sets this home apart from all others. The tray ceiling, walk in closet with built in "
"MOVE IN READY!!! Fence just installed & photos forthcoming. 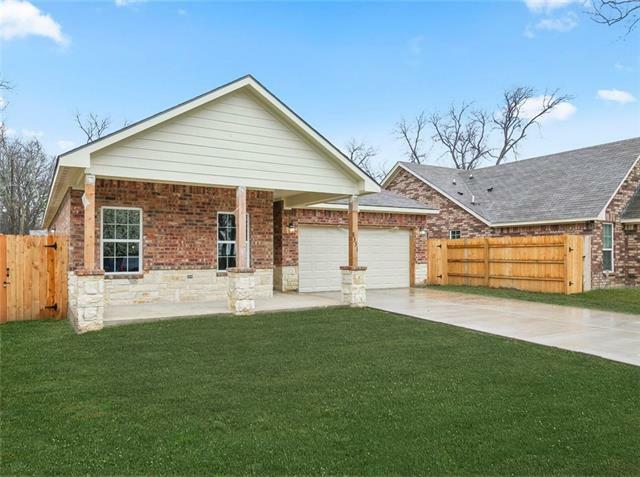 Light & bright new custom home! Spacious granite kitchen open to living & dining! Wonderful storage and counter space! Glass tile backsplash & stainless appliances! Lovely wood laminate floors in living, dining & office! Window coverings and crown moldings! Master retreat features a barn door to the bath! Gorgeous porcelain tile in kitchen & baths! Carpet in bedrooms! Charming office with bay window! 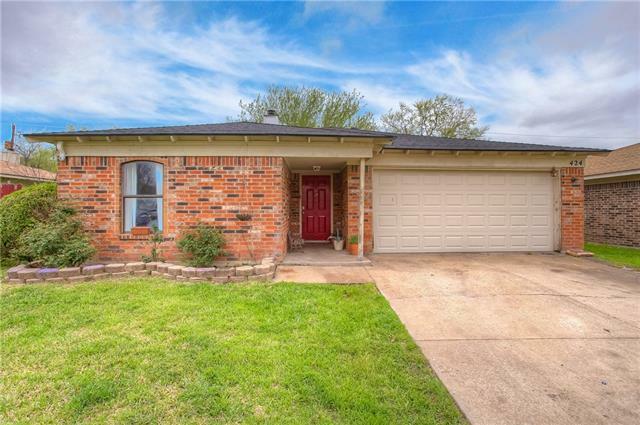 Huge grassy backyard and"
"Welcome to a Beautiful Move-in Ready Brick House In a Highly Desired And Convenient Part of Town. 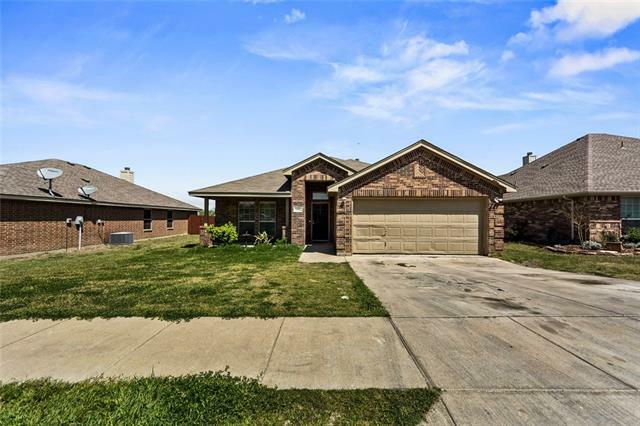 3 Bedroom Home in West Fort Worth. Just Replaced the Roof on April 10th, 2019!!! 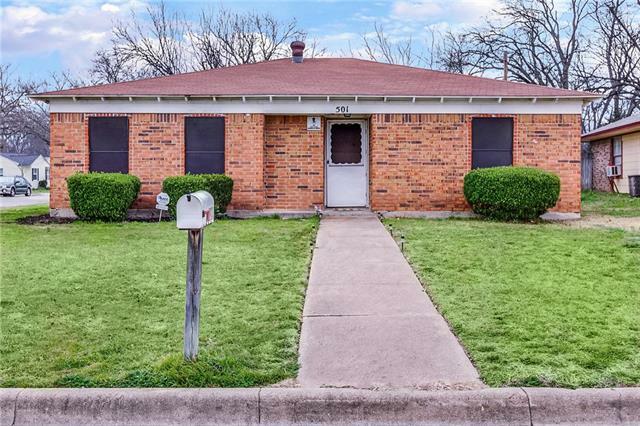 This one is a must see, Close to freeways I30 and Loop 820 West. Kids can play in the street. Good school district. Ring doorbell and security cameras to stay. Gazebo on the outdoor deck to stay. Great neighborhood. Neighborhood and Neighbors are involved with the city. 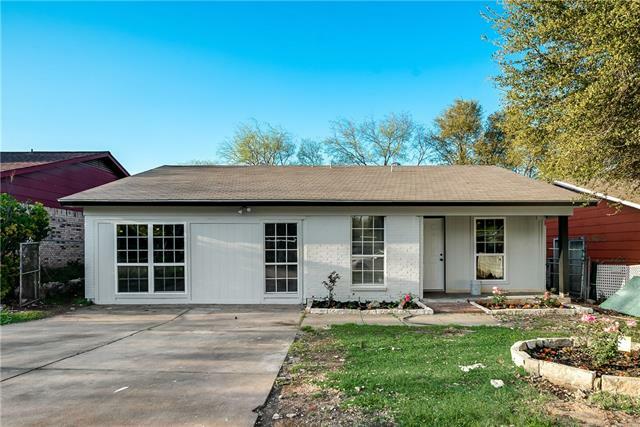 Walking distance to city park and youth events." 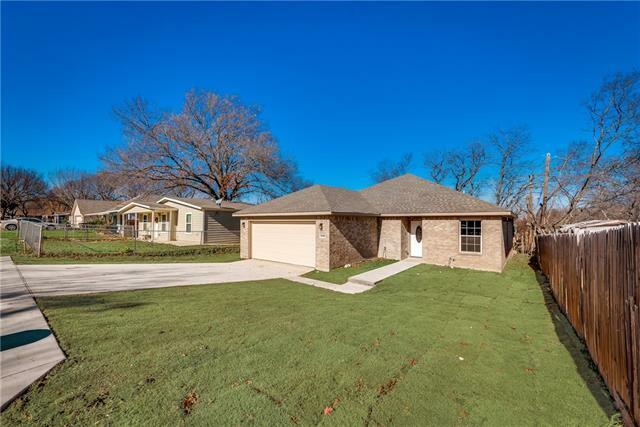 "THE OLDEST TREE in White Settlement will be in your front yard when you purchase this extremely well kept home! The front landscaping features a unique fossil & flagstone patio, heirloom irises, & many other pretty plants. This home features an updated large kitchen, breakfast bar, corian counters, fridge stays! The master retreat features a sitting area, garden jetted tub, large walk in closet. The bonus room can be the study or extra bedroom. The living room is huge with an Austin stone wbfp, "
"Property is being remodeled by the owner. Nice size lot close to Lockheed, schools and shopping centers." "Come take a look at this darling home with many recent updates! 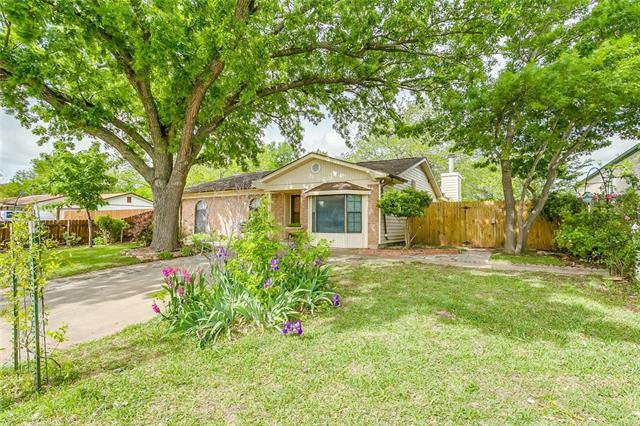 Great corner lot, ideal floorplan, and close proximity to 820, and I 30 for commuting. 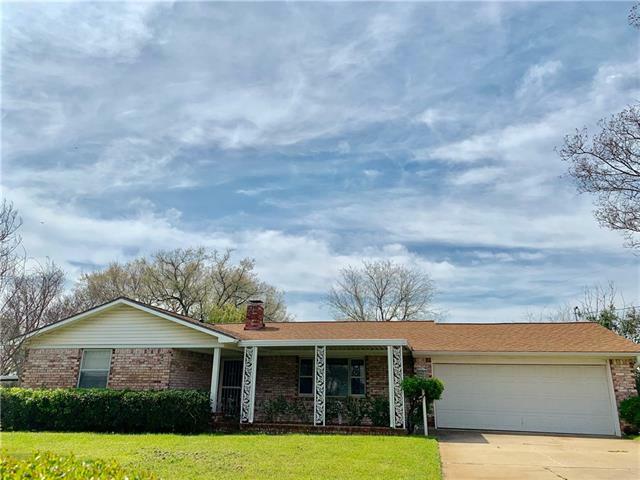 Newer granite and tiled backsplash in kitchen, tile flooring with carpet in 2 secondary rooms, newer dishwasher, updated paint on cabinets and walls, new wooden fence around yard, added air purification to HVAC duct system. Current tenant is month to month, but could possibly remain if looking for a rental property." "Nice 3 bedroom, 2 bath house. Wood Fireplace in living room. Laminate floors. Vaulted ceilings. With a little work could be your forever home." "Welcome home! 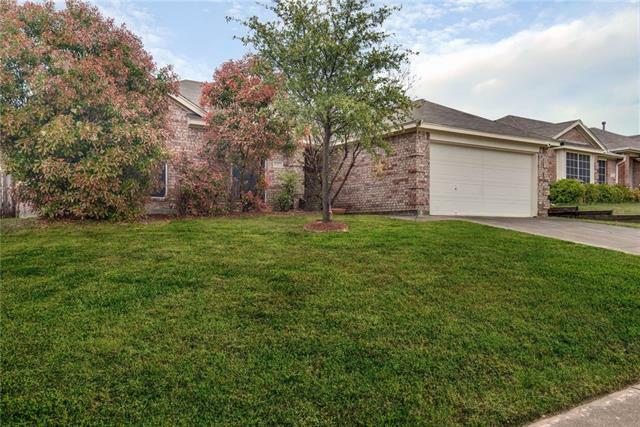 This beautiful brick house boasts 3 bedrooms, 2 full bathrooms, and many upgrades! 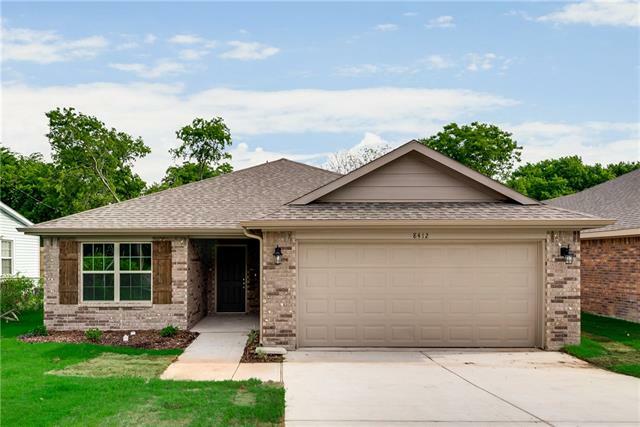 Incredible remodel includes stunning wood like flooring in the living area, kitchen, and hallways, custom tile work, and new carpets in the spacious bedrooms! Impeccable kitchen offers brand new granite counter tops, ample cabinet storage, and beautiful stainless steel appliances. Situated on a large lot!" 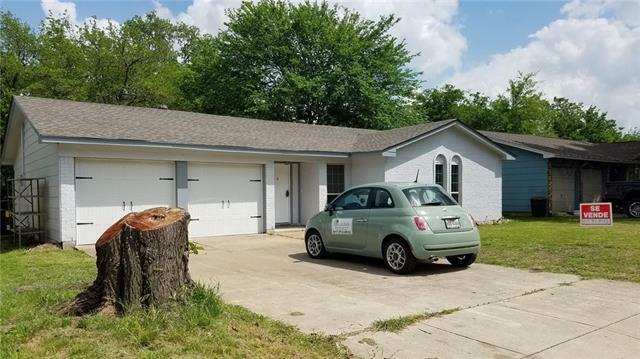 "Beautifully updated and affordable starter home on a quiet part of town. 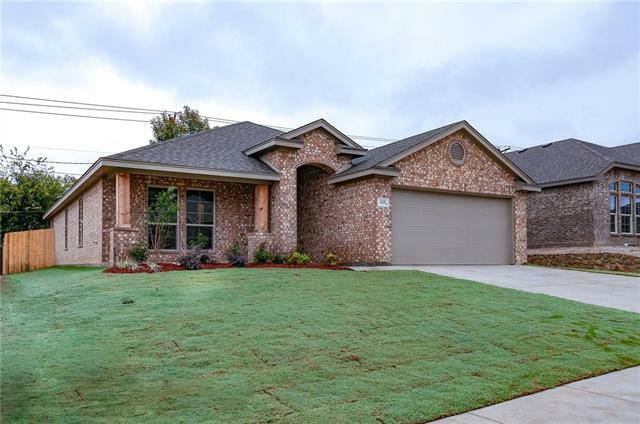 Home features new laminate wood flooring, carpet, new HVAC system, new kitchen cabinets, appliances and granite counter tops. This property is on a huge lot with and with and features a standalone garage. 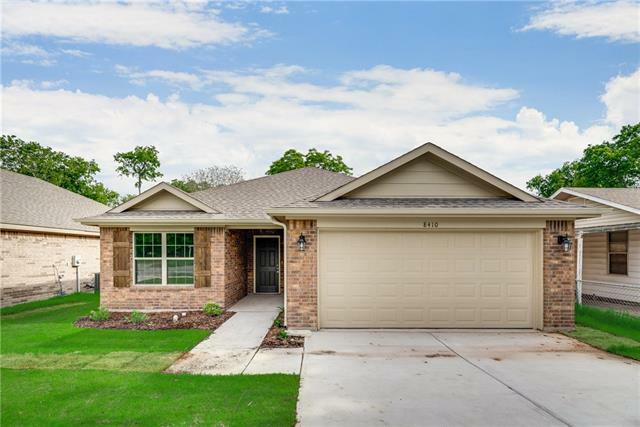 Take a look at this move in ready home and make it yours." "MOVE IN READY HOME! Tenant currently occupied and would require 60 Day notice to vacate. Sunroom can be easily be converted to 3rd bedroom with still some room. Electrical and Plumbing have been updated. Nice creek with walking path. PLEASE DO NOT DISTURB TENANTS. One year Home Warranty included." "Nice two bedroom with some updates." "INVESTOR SPECIAL!! 9800 sqft lot with huge opportunity! 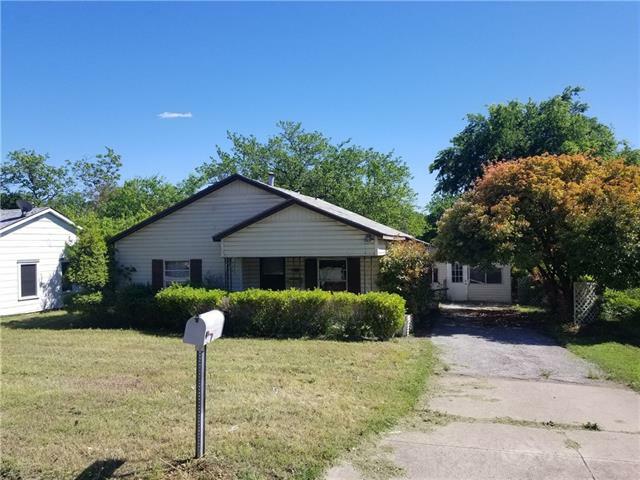 House needs all repairs and updates, currently has an add on that will need to be redone, or do away with. Beautiful curb appeal in a family oriented neighborhood! Priced to Sell Quickly! Will Not Last Long!!!"